With accelerated decline in print advertising and an increasingly challenging digital advertising environment, we have to ask what news will look like after advertising. Since the rise of the penny press in the United States in the 1830s, advertising has been a central source of funding for journalism. Advertisers were never interested in the news; they were interested in audiences. And the populist penny papers could deliver audiences on a scale like no one else, just like radio and television would later offer large audiences that advertisers had few other ways of reaching. That’s why the advertisers flocked to them. This meant that audiences did not have to pay the full cost of the content they consumed — advertisers paid a large part, funding cheap newspapers and free-to-air broadcasting. Sometimes audiences even enjoyed the advertising. Today, advertisers have several other more efficient and cost-effective ways of reaching audiences online, and large parts of the audience do not enjoy the advertising. As a result, both advertisers and audiences are voting with their feet. And they are not voting for publishers. Advertisers are voting with their feet for those that can offer advertising opportunities that are cheap, targeted, and easy to buy in bulk. That means Google, Facebook, and various programmatic advertising networks. Publishers benefit from some of this through platforms like Doubleclick, revenue sharing around Facebook Instant Articles, or in a few cases by building their own programmatic platforms the way Schibsted is doing. But the revenues they bring in are smaller than what their direct sales used to generate and less than what they had hoped digital advertising would generate. Audiences are voting with their feet for ad-blocking when they browse via their desktop and for apps when on their smartphone, including platforms like Facebook that control the advertising formats, load, and infrastructure to minimize the hassle of the bloated advertising, endless prerolls, intrusive popups, etc. that plague much of the open web. People still seek out news and enjoy it when they come across it in more distributed environments. But they prefer to consume it in more convenient ways that are less lucrative for publishers than traditional on-site traffic with a heavy ad load on each page. For advertisers and audiences, this is arguably a better world in many ways. For publishers, it is a very challenging environment. But most publishers will struggle. Their direct sales are under pressure, their users are not logged in and thus hard to target effectively, and more and more of their inventory is likely to be sold through programmatic ad networks which combine often low CPMs with a situation where the networks take a large share. This is a problem for legacy and digital-born news media alike. So the link between advertising and news that has for so long provided so much of the money invested in professional journalism is coming apart. That is why publishers are working so hard to diversify their business models: away from legacy platforms and away from digital display advertising, with a much greater emphasis on digital subscriptions, sponsored content, events, services, business-to-business, you name it — anything, really, that can leverage the audience and reputation publishers still have, and build new revenue streams around it to make up for the legacy revenues that are disappearing, and the digital advertising revenues that are so hard to attract. To understand what this means for journalism, what news might look like after advertising, it is worth considering what news looked like before advertising, before the rise of the penny press. Some pre-advertising news media worked for business interests that needed specialized information and were willing to pay for it. Think of 19th-century versions of information services companies like Bloomberg and Thomson Reuters. This model does not depend on advertising. Other pre-advertising news media worked for governments and political parties that wanted to influence public debate and were willing to pay for it. These were not simply partisan the way the (profitable) Daily Mail or Fox News are partisan, but news media that were run, often at a considerable loss, in large part for and by political actors — like Al Jazeera or Russia Today. This model too works without advertising. Finally, some pre-advertising news media were parts of social movements that wanted to change the world. Abolitionists, religious reformers, trade unions, and many others would run movement media with a clear, activist commitment and keep them going with limited formal funding, #blacklivesmatters cranked out on a printing press. Again, this model does not depend on advertising. All of these alternative models are likely to become relatively more important parts of our overall media environment, because all of them work without advertising. None of them will generate the billions of dollars in funding that advertising did, sustaining tens of thousands of jobs for journalists. All of them can support valuable journalism, but it will be kinds of journalism very different from that associated with 20th-century newspapers and broadcasters. Advertising-supported journalism, in contrast, will continue to shrink as long as advertisers have more attractive opportunities than publishers and as long as audiences seek to avoid advertising. In most existing news media organizations, this development will mean continued revenue declines and cost cutting, combined with a heavy emphasis on diversification and finding new sources of revenue. 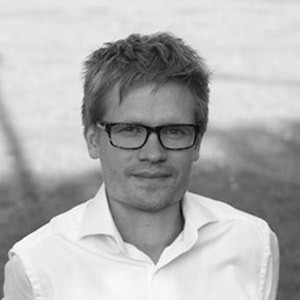 Rasmus Kleis Nielsen is director of research at the Reuters Institute for the Study of Journalism at Oxford University. Dec. 12, 2016, 12:19 p.m.